As Swamiji's 153rd birth tithi is on 31st January, it was decided to have a month long programme with various competitions for school children and collegiates.i) On the 12th Sandepani Sishuvihar childrens' programme at Anandadham ii)Samuhik Surya Namaskar group competitions at school levels from 12th January to 27th January. iii) Samuhika Surya Namaskar group competition final at Anandadham campus on 28th. iv) Vimarsha on' Women of India-past, present and future ' on 30th January and v) Swamiji Jayanthi celebration public function on 31st January. Swamiji's Jayanthi was celebrated by the tiny tots of Sishuvihar. Each of them was dressed in different attires depicting the different characters and incidents from Swamiji's life, characters from Puranas as well as the patriots of Kerala etc. This was followed by short speeches by the tiny tots from Swamiji's thoughts. 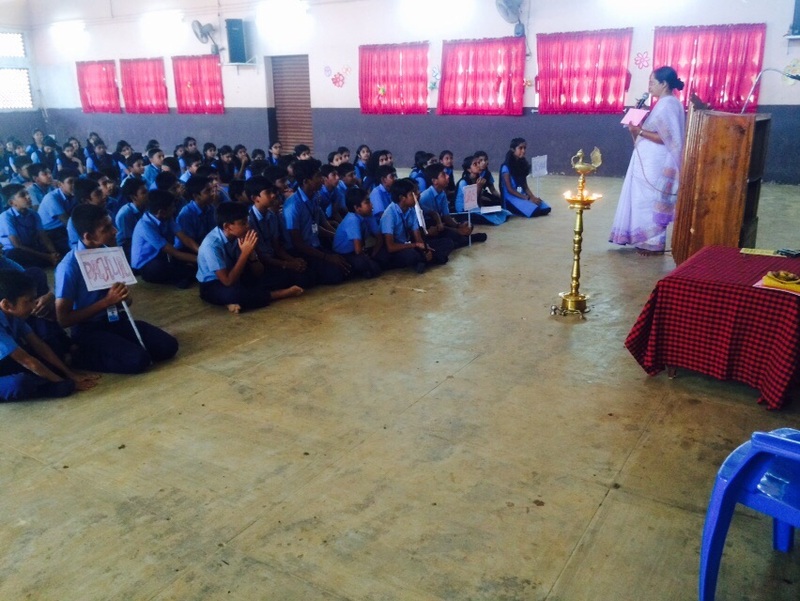 Swamiji's Jayanthi was also celebrated in Bharatiya Vidya Bhavan's Vidya Mandir, Irinjalakuda. There was Groupwise Samuhika Surya Namaskar competition, where 102 students of classes VII and VIII participated.The best group of girls and of boys were selected for the final round to be held on 28th January.